We are excited to announce E.J. 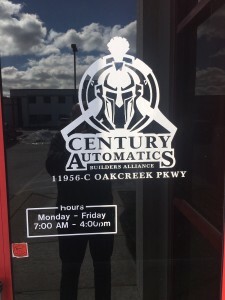 Basler’s recent acquisition of Century Automatics in Huntley, Illinois effective as of February 18, 2019. This is a wonderful addition to our growing capabilities. Century Automatics will add a lineup of 40 Davenports along with 30 dedicated employees to our team. E.J. Basler is headed for growth and can not wait to have you be a part of our future. With our new capabilities we look forward to seeing how the Davenport machining department can be a solution for our customer’s small diameter precision machine part needs. For all inquiries please don’t hesitate to contact us. We look forward to partnering with you on your next project. 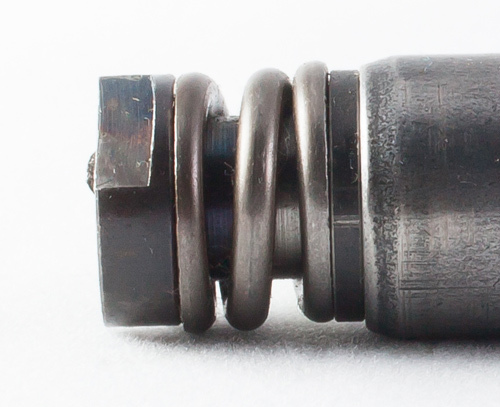 We love to create precision machine parts that really are things of beauty. When I first started working here I was amazed by the incredible tolerances we were able to hold. The scrap colors, the whirl of machinery, and people going by. Working together with the best suppliers in the country for heat treat, material, and plating. We are proud to be an American manufacturer providing jobs and creating opportunities. The products we make go into items we use in our daily lives faucets, cars, trucks etc. It is a thing of wonder to tangibly sit and hold the items we make. Please stop by and see for yourself next time you are in the Chicagoland area. Don’t forget to go out and vote today if you live in Missouri, Illinois, Ohio, North Carolina, Florida. We must never forget the beautiful right that we have to vote! Instead of complaining about the problems that we face on a political level, I implore you to get involved and vote. Conflict effects every area of life; transcending language, industry, and professions. Yet, how many of us have had the opportunity to study the tools for effective conflict resolution? Over the past weekend I was at a Precision Machined Products Association conference in Orlando, FL. One of the sessions was a look at how Improv techniques can be used in business to get your team to think outside of the box and to open people up. Izzy G led a great seminar pushing peoples boundaries with improv games. My main takeway was to incorporate “ Yes.. And” instead of saying “Yes.. But” in conversations. We are sitting in a big ballroom with about 350 precision manufacturers when Izzy, the speaker, asks for a volunteer. This is a group of skilled business and technical individuals mainly men who don’t want to volunteer to do Improv. A hand goes up and collectively the entire crowd breathes a silent sigh of relief because they were not called on. Then Izzy, the speaker, began to comment on how the person who volunteered was walking as a leader because it is leadership when you are able to bring “relief to so many people in the room” to him leadership is being able to set people at ease and be an example. So then Izzy asks for another volunteer for another Improv game and still no one raises their hand, even after all the conversation of how volunteering in that setting is a form of leadership. Of course, my hand goes up and he calls me up on stage. I was motivated to go up because I wanted to show my fearlessness; even though my heart was beating so fast and I was so incredibly nervous. Yet, for a moment I was able to bring relief to the 350 other people in the room because they did not have to go onstage. I was motivated by the opportunity to show leadership in that moment even if I thought I was going to die of stage fright. In the Precision Machining industry and at home we are constantly confronted with opportunities to show leadership. Be it volunteering in a group or being a good example to the people around us. We always have choices the hard part is to notice them. Basler strives to be the best in our manufacturing industry, we lead the curve with technology and environmental stewardship.